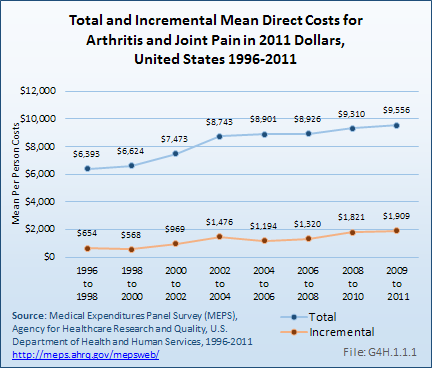 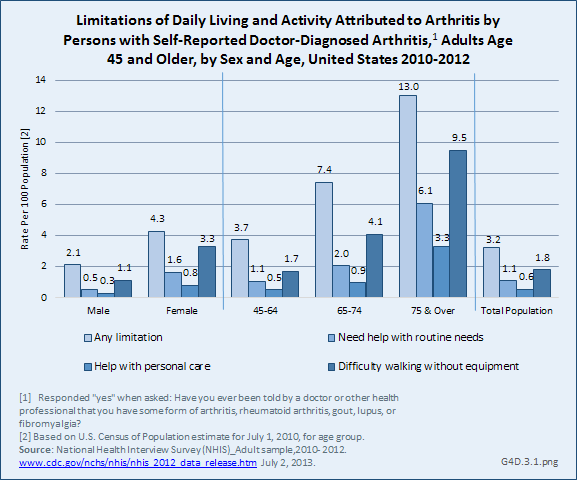 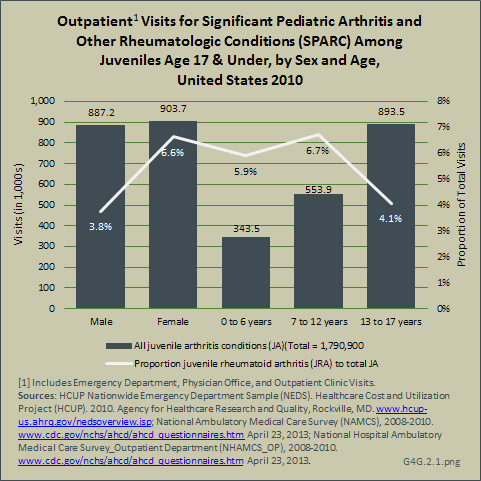 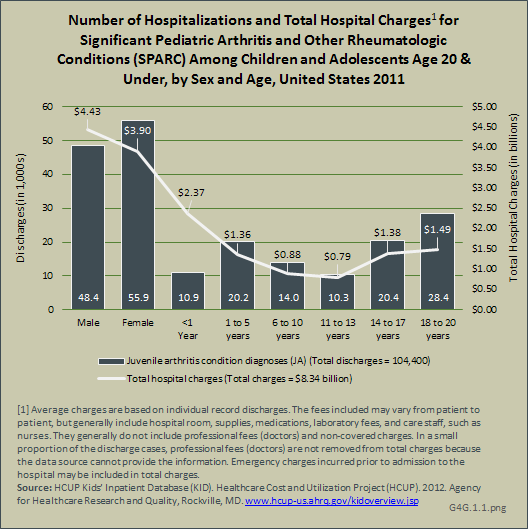 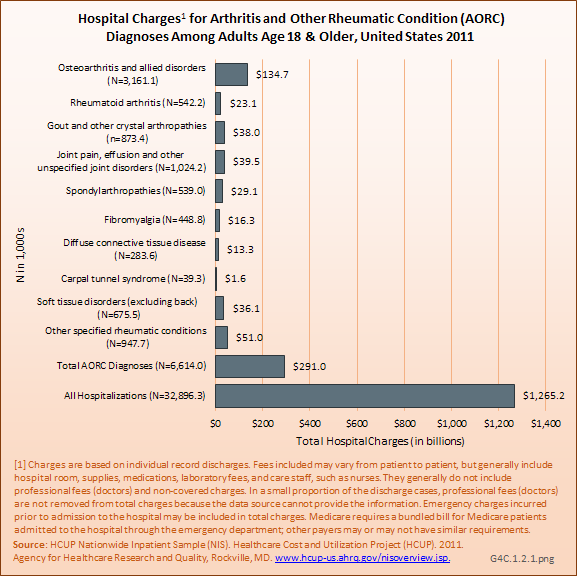 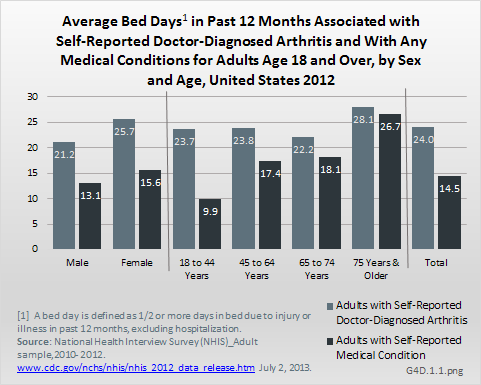 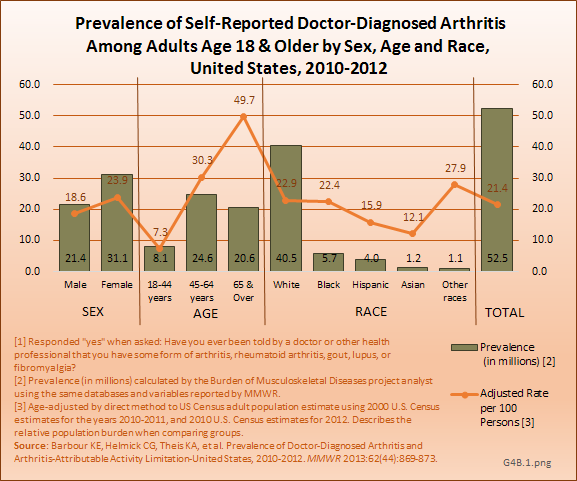 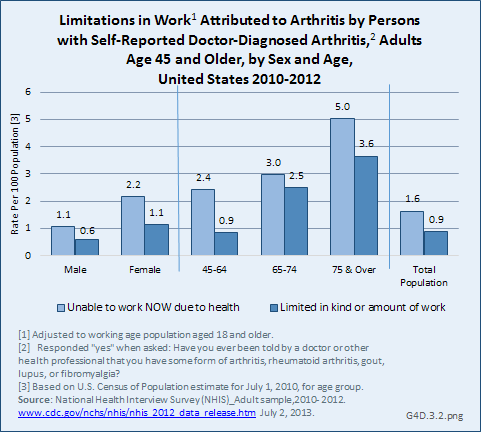 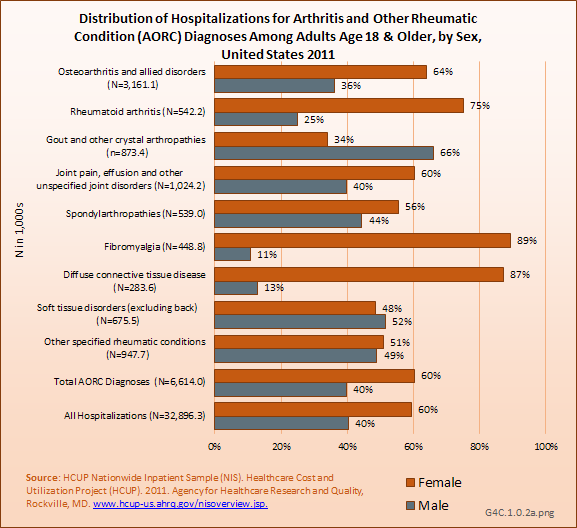 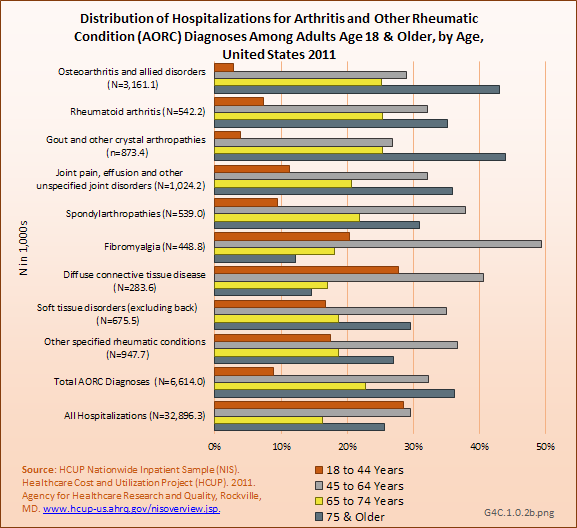 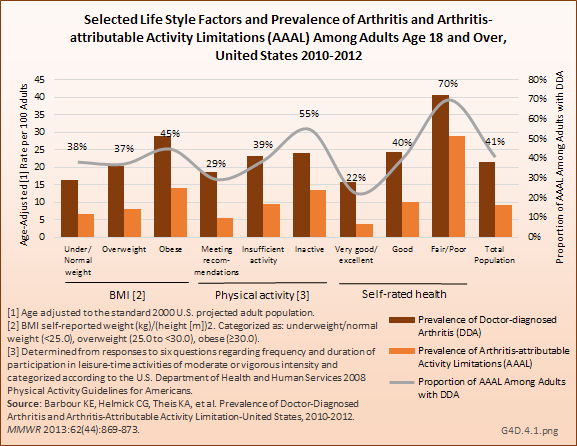 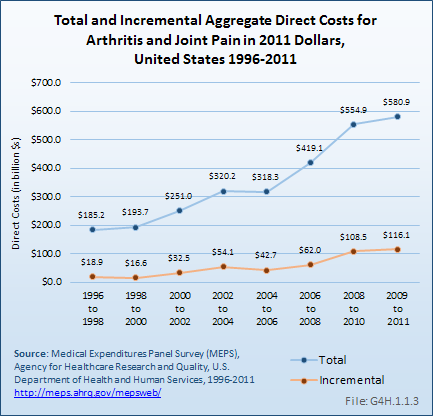 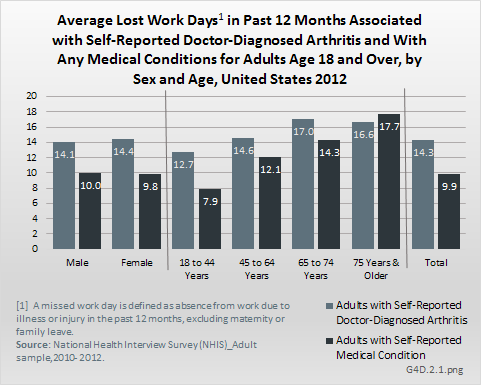 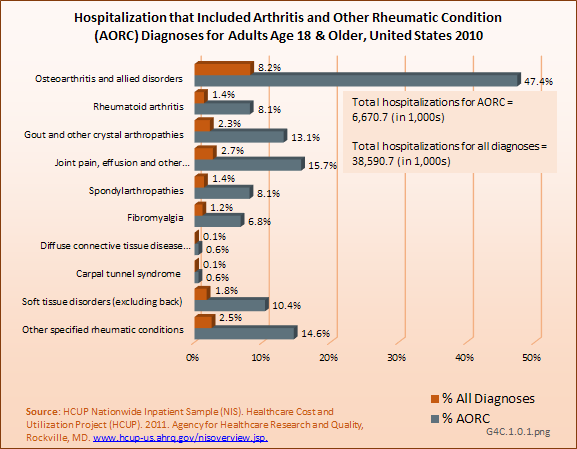 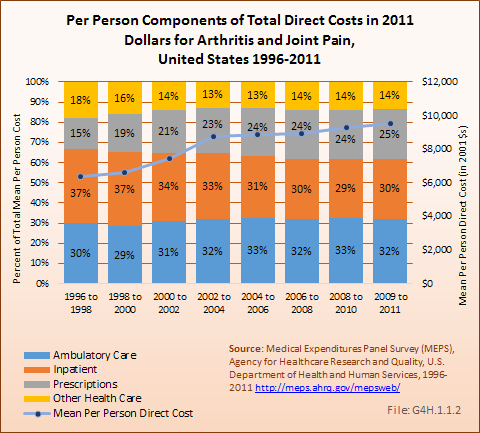 In recent years there has been an increase in the impact of arthritis and other rheumatic conditions on health care utilization. 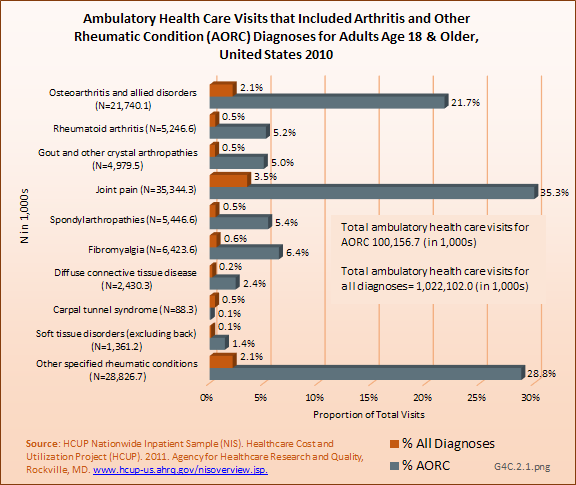 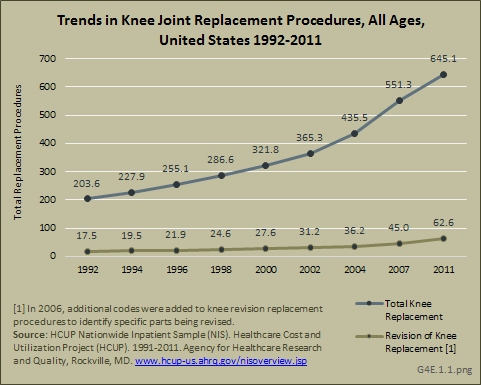 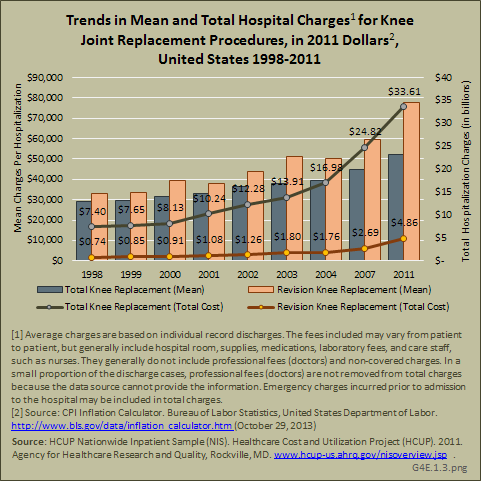 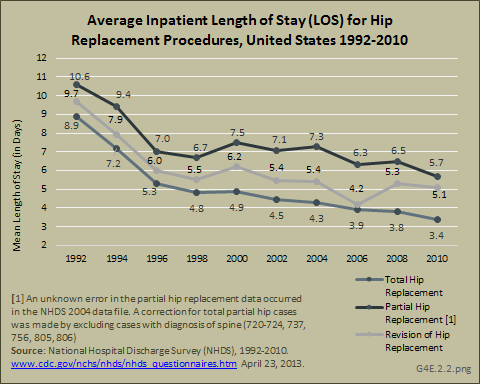 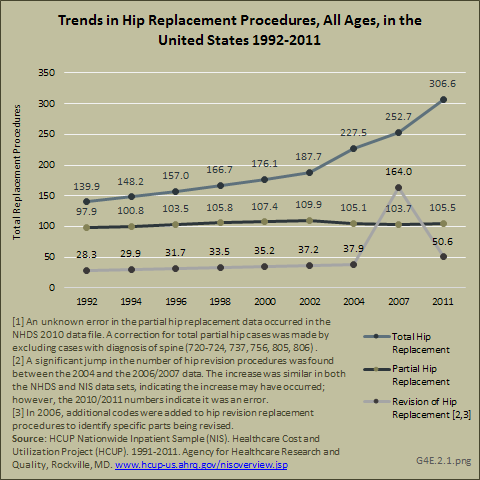 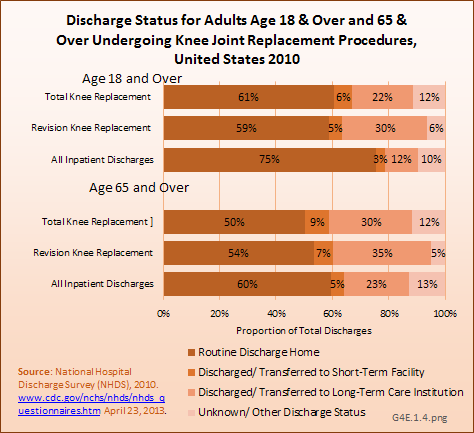 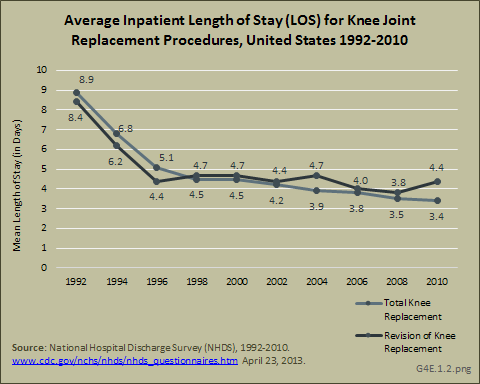 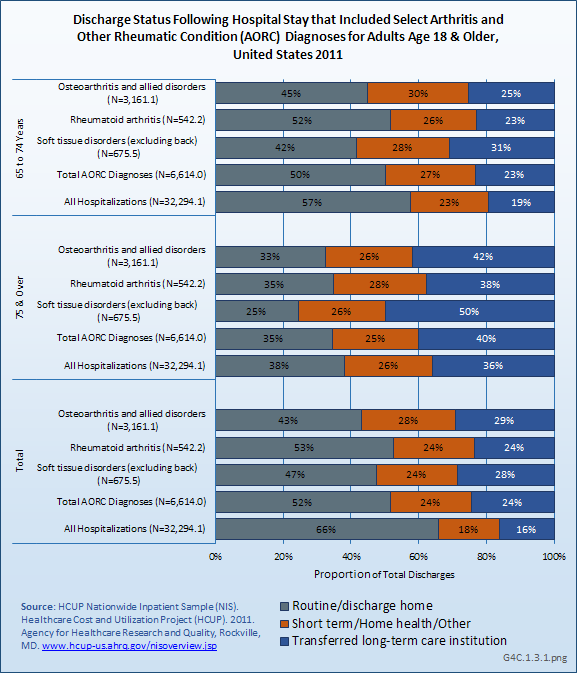 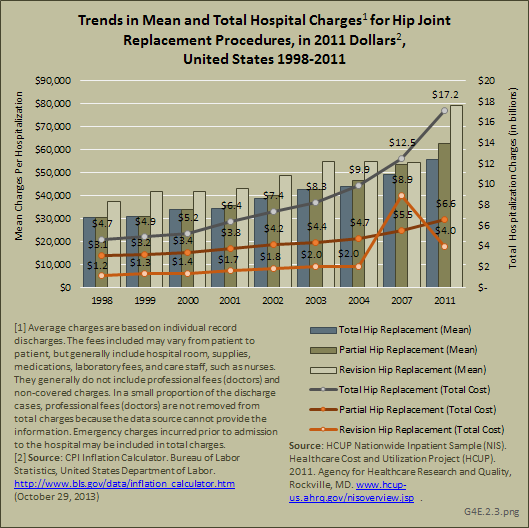 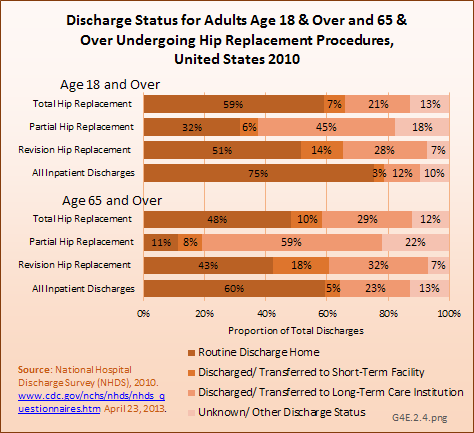 The rising prevalence of AORC and the resulting increase in ambulatory care visits as well as the increasing number of joint replacements and resultant increase in hospitalizations both result in increased health care utilization. 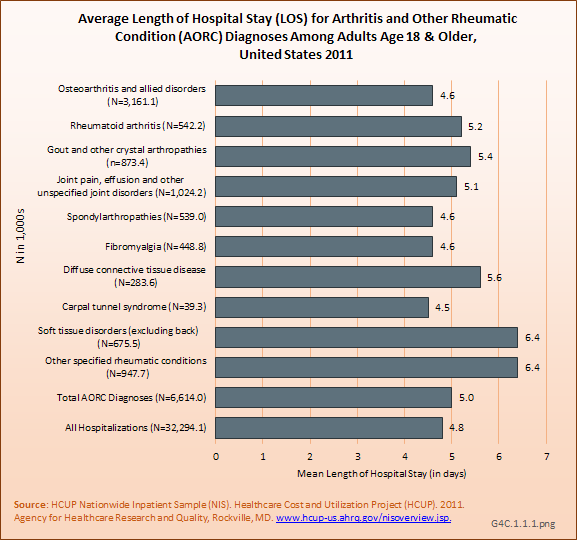 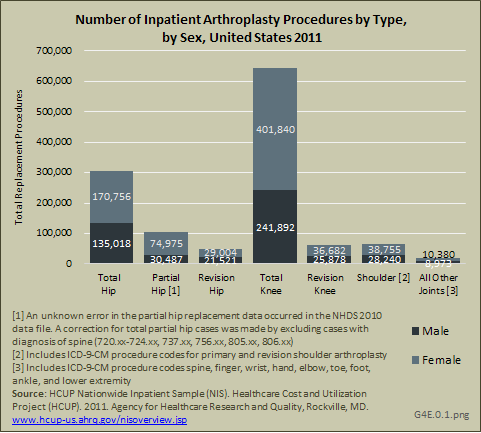 As mentioned above, the AORC case definition is more appropriate to use within the health care system, so the following estimates are based on that.